Few countries have managed to cling to its alluring mystery like India. This mesmerizing land of colourful traditions, religious festivals, opulent history and promising future keeps fascinating many, but only a few dare to really venture within. But for those that do make that leap, India burns long and bright in their memories and hearts. 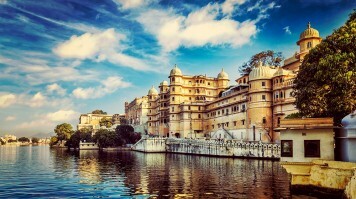 India’s attractions stretch far beyond the iconic landmarks of Taj Mahal, Amer Fort and Varanasi. It is a country that wears its big tickets on the sleeve to lure you in, but once there, prepare to get hooked for a long time to come. India is home to a motherlode treasure chest of lesser-known (albeit no less impressive) historical sites, hypnotic natural landscapes, ancient traditions and wildly rich culture that will change your perception of this country forever. And let’s not forget the flavourful, distinctive food. So, buckle up and get ready for your trip to India. It will be one to remember long after you have settled back home, full of fond memories and tantalising stories to tell. Traveling through India requires an altogether different mindset to most other places. It is a country that has the potential to delight and thrill, as well as frustrate and exasperate. The key to a great experience is to keep an open mind and expect the unexpected. However cliché this sounds, it has never been truer than for India. Despite its plethora of attractions, India has many ingrained social norms founded in traditional beliefs, palpable poverty, inefficient bureaucratic systems and hazardous infrastructure that make even experienced travelers twitch. It is easy to feel overwhelmed by the vast differences of how things work in this enthralling country to what one’s used to. And to an extent it is natural, some might say even inevitable, to feel raffled at times. But to succumb to the frustration would be risking missing the essence of this exotic land. Instead, accepting India for what it is and taking each challenge in stride will lead to an altogether better and more balanced experience. India covers a vast geographic region spanning multitude of climate zones, making any generalisations very difficult if not impossible. Instead, it is advisable to tailor the timing to the specific location(s) on one’s itinerary. Given the large scale and mind boggling diversity of India, making a shortlist of top destinations is always going to be a challenge. But for any first time traveler, there are some places that simply must make the list. Agra is often used synonymously to the majestic Taj Mahal and no trip to India would be complete without visiting this iconic landmark. But limiting your visit to this holy grail of countless bucket lists would be a mistake. Once the capital of the Mughal empire, Agra boasts several other impressive sites that will make your heart sing. 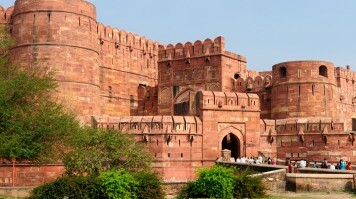 The Agra Fort is one such place, drawing you in with its characteristic red walls. Roaming around the city you will come across several significant tombs and if you ever get tired of sightseeing, the bustling bazaars of the old town and the traditional carved marble workshops promise to keep you entertained. There are also plenty of other attractions in Agra, besides the Taj Mahal. 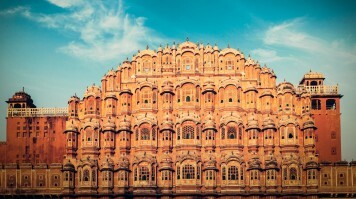 Jaipur is also known as the "Pink City", coined after the pink paint applied to the facades of the old town. The historical wealth and splendour of Jaipur is evident from the striking structures dotted around the city, engulfed in the most intricate decorative details. No wonder the former royal family continues to reside here, in the elaborately decorated Jaipur Palace. Trips to Jaipur wouldn’t be complete without seeing the Hawa Mahal, enabling royal women to observe the bustle in the streets below, the Jal Mahal (also known as the water palace), the stepwell Panna Meena Ka Kund and the Amer and Jaigarh forts, both a short drive beyond the city walls. For many, Delhi is the embodiment of India. A festival of smells, sounds and shapes steeped in colourful history, overflowing with the hustle and bustle of humanity at its most diverse. The Delhi of today is a result of the centuries-long restructuring, as several civilizations embarked to put their mark on a city they called their capital. This has led to Delhi becoming a living testament to India’s fascinating past lives, visible on every corner. 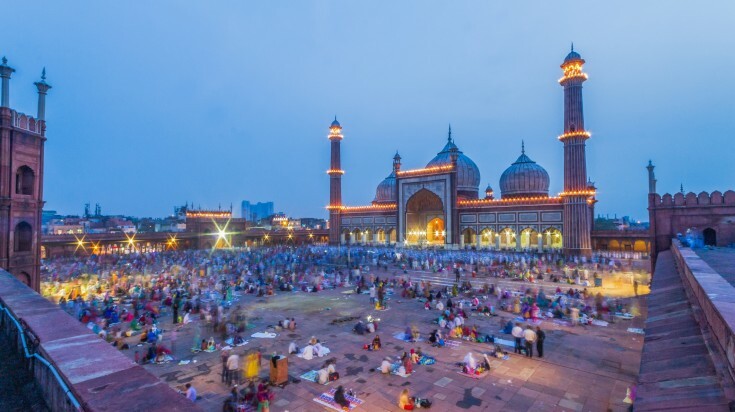 Speckled with historical monuments, dissected by wide leafy boulevards, dotted with well-stocked shopping plazas and host to an abundance of excellent restaurants, this cultural and political centre promises to be an unforgettable encounter on anyone’s trip to India. Here are some of the best tours in Delhi. 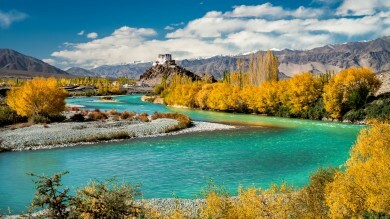 Set in the northern-most Indian state of Jammu and Kashmir, Ladakh is India’s hidden gem. 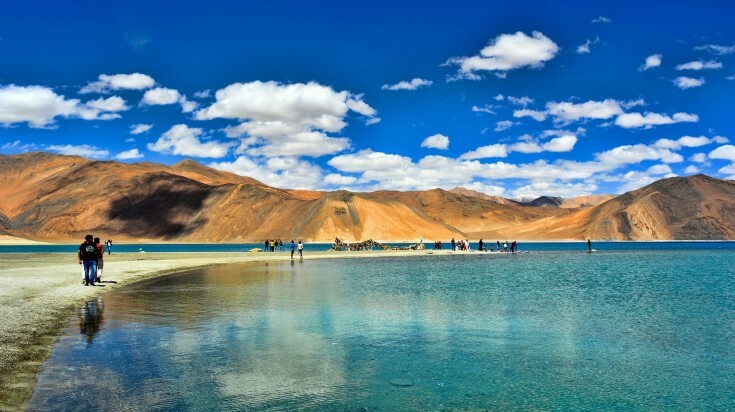 In contrast to the palatial sites so often found in Indian cities, the Ladakh region is famed for its spellbinding natural environment and monastic culture nurtured by the Tibetan-descent inhabitants. The picture-perfect yet dramatically arid landscape of Ladakh has long attracted the attention of adventure seekers and nature lovers alike. But until recently, it has been the privilege of only the most intrepid of travelers to dip their toes in Ladakh’s mystical waters. With the continuous investments in infrastructure, relaxation of access restrictions and growing coverage by tour operators, this mesmerising part of India can now be savoured by all of us. 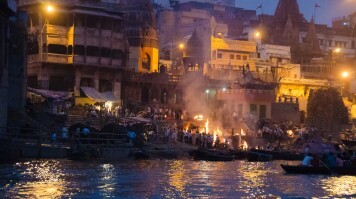 Religion is an inseparable part of India’s culture and in Varanasi this aspect is tangible. Regarded as the spiritual capital of India, the city is annually visited by millions of Hindu pilgrims seeking to yield the holy powers of the sacred Ganges River. Those lucky enough to see this iconic place are regularly confronted by the reality of life and death, as believers publically cremate their loved ones and engage in other similarly intimate rituals. It is this intensity and uniqueness of experiences that renders Varanasi an unmissable stop on anyone’s itinerary. Kerala is set on the west coast of southern India, sporting a long coastline with the Arabian Sea and a picturesquely hilly interior. 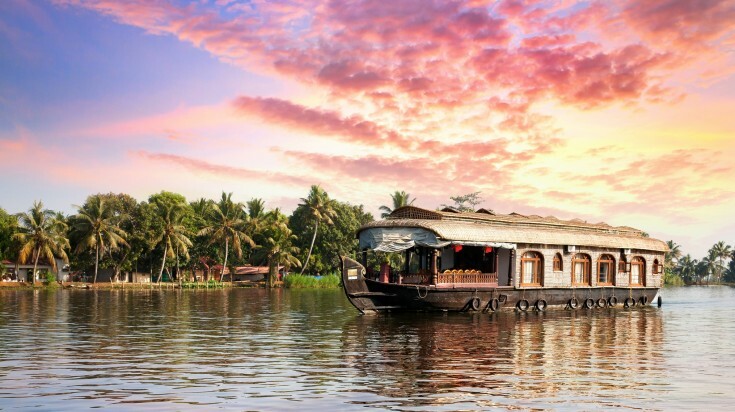 It is famed for its beautiful backwaters, cool hill stations, rolling tea and spice plantations, Ayurvedic treatments, wildlife reserves and character-full coastal towns like Kochin. In contrast to the hustle and bustle found elsewhere in India, Kerala offers a welcome sanctuary. It is ideal for those who seek to explore its plentiful natural wonders, take a refuge from the heat, indulge in some wellness or enjoy the state’s hospitality and historical attractions. Here are some of the best tours in Kerala. Set in the north of India in West Bengal, it is quite likely the state’s prime attraction. The lush green tea plantations decorating the sumptuous hills are in sharp contrast to the majestic snow-clad Khangchendzonga dominating the skyline. Once a favourite getaway of the British Raj elite, this beautiful hill station is dotted with colonial era architecture sitting next to Buddhist shrines and temples. A remnant of Darjeeling’s former years as part of Nepal. When you get tired of walking around, enjoy a cup of local tea or hop on the 140 years old Darjeeling Himalayan Railway to admire more of the breathtaking surroundings. Now a slow-paced village in the state of Karnataka, Hampi was once the last capital of the great Hindu Vijayanagara empire. Magnificent ruins in various states of disrepair are scattered across a heaving terrain covered in giant boulders in various shades of rust. 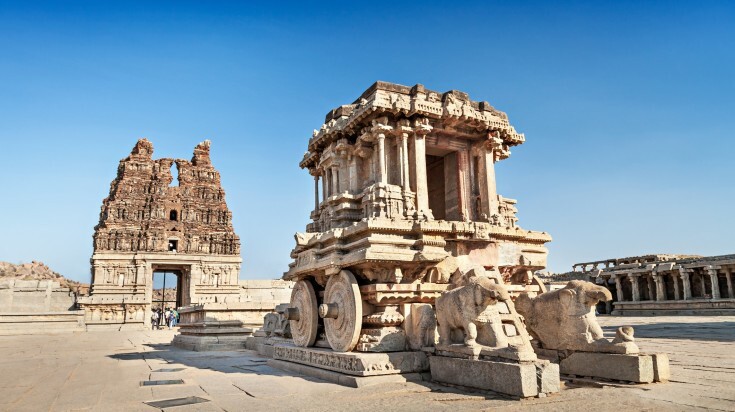 The supreme craftsmanship of the Vijayanagara era is evidenced by hypnotic monuments like Vittala Temple, home to the impressive stone chariot and the intriguing music pillars. Back in the Hampi Bazaar and the Virupapur Gaddi just across the river, the plentiful accommodation options, restaurants, cafes and laid-back hangouts provide a convenient base location to explore Hampi from. Formerly known as Bombay, Mumbai is a mesmerizing cacophony of contrasts. Home to India’s booming film industry, millionaire elite, financial stronghold, fashion epicentre and a pulsating urban hub with trendy bars, cafes and restaurants, it also has some of the world’s largest slums, eye-watering pollution and land infrastructure that leaves much to be desired. Love it or hate it, no trip to India would be complete without visiting Mumbai. It is a place that will captivate you and keep you entertained until you decide it is time to move on. And when you leave, you will feel like you have been given a sneak peek of what India is really about. 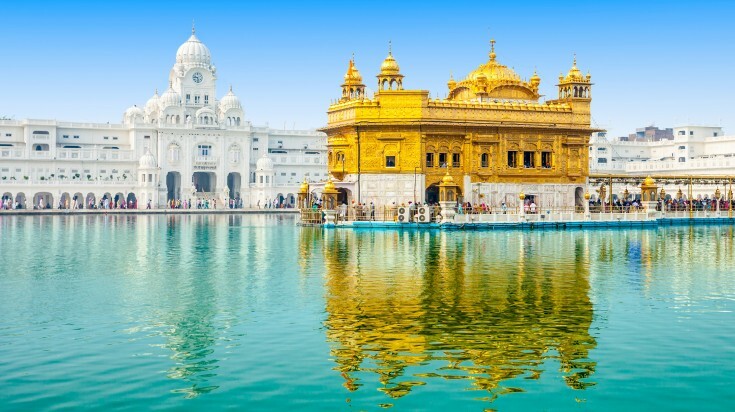 A mere 28 kilometres from the border with Pakistan in the state of Punjab, Amritsar is home to the holiest site of the Sikh religion, the Golden Temple. Set at the end of a long walkway and surrounded by a lake frequented by bathing pilgrims, this magnificent site has an air of humility contrasting with its golden splendour. Venturing away towards the narrow alleyways of the old town, the relative calm is soon replaced by a frantic commotion of frenzied shoppers in the old city bazaars. Street vendors, drivers, locals and visitors alike all mix in this melting pot of humanity, letting you suspect what life has been here like centuries ago. 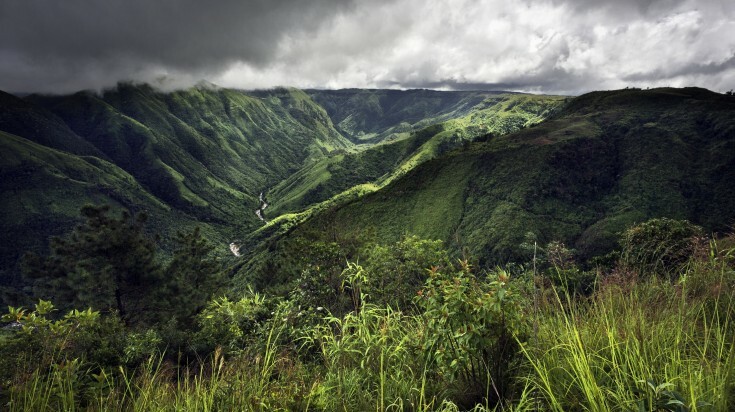 Meghalaya, in the northeast part of India, counts amongst one of the wettest places on earth. This is not surprising once you understand the literal translation of its name, meaning the "abode of clouds". Thanks to the high rainfall, this sumptuous mountainous area boasts spellbinding natural landscapes replete with mesmerizing waterfalls, spacious natural caves and fascinating man-made root bridges. The locals are predominantly members of various tribes who have been occupying this land for centuries. It is fascinating to get a glimpse of their charmingly colourful traditions and learn a bit more about their matrilineal system where property and name are passed down the female line as has been done for generations. Besides the ones listed here, there are many more destinations to explore in India. Finding your special place in India is just a ticket away! First of all, it is important to remember that India is not just a country, but rather a sub-continent of multifaceted-ness and complexity. One could spend half a year here and still feel like they barely scratched the surface. And half a year, however attractive it sounds, is rarely in the cards when organizing a holiday. In the absence of unlimited time, the best way to explore India is to allow at least three weeks. This will give sufficient room to immerse yourself in the culture, experience a couple of diverse areas and get a feel for what really lurks under the surface of this exotic beast. 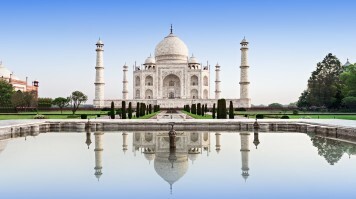 Depending on your available dates, you can plan your own private vacation to India through our Trip Planner feature. India offers a wide range of experiences and travel options suitable for a full spectrum of travelers. 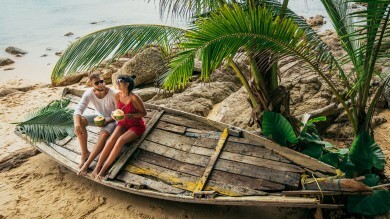 Although prices vary throughout the country, as a mid-range traveler with a fairly busy schedule, budgeting USD 40 – 85 USD* per day should do the trick. Take holiday packages in India or go solo? The inexplicable draw of India is often accompanied by apprehension about the best way to travel. Shall I go it alone or shall I take advantage of one of the alternatives? Whilst solo travel is undoubtedly rewarding and empowering, affording unhampered flexibility, India is not always the easiest place to navigate alone. Even the most experienced of travellers often find themselves considering different routes to alleviate some of the challenges travel in India brings with it. Fortunately, whatever the adventure appetite and travel experience, there are several alternatives to solo travel on offer that make India accessible to all. On the more independent side of the spectrum, teaming up with fellow travellers could be the right fit. For those who are looking for a hassle-free seamless experience, an organized India tour is likely to be the most attractive option. The advantage of organized tours is that you get what you pay for, which might be particularly attractive when time is not unlimited. Leaving the organization in hands of experts can save a lot of hassle down the road, with the added bonus of having someone at hand with deep insights into this mystical and often misunderstood country. In the past couple of years, India has simplified its tourist visa application process. Citizens of more than 160 countries can now take advantage of an e-visa, eliminating the necessity for an in-person Indian embassy visit and a passport send-off. Also, UK and US nationals can use this convenient way to obtain their visa from the comfort of their home. Filling in an online application form and paying a set fee, it takes up to 3 working days to obtain a tourist visa valid for 60 days from the date of arrival. Simply print your visa once it arrives by email and show it at the point of entry. India is a fascinating and rewarding country to visit. But its exotic nature so different to what many of us are used to, combined with the occasional negative news coverage, understandably raises some safety concerns. The good news is that whilst India is almost guaranteed to make you feel challenged, baffled, frustrated and sometimes even incredulous, with some common sense and good preparation you can be sure to feel safe and enjoy your trip. Most people have heard about Delhi-belly, harassment of female travelers, crazy traffic and punishing pollution in the overcrowded cities of India. Staying clear of street food and other dubious looking eateries, sticking to a moderate dress code, making using of a respiratory mask, ensuring sober engagement with locals and perpetual awareness of one’s surroundings will go a long way to alleviate these challenges. Vaccinations may be an essential part of good preparation for your India trip. Make sure you visit a specialized travel doctor before you go. Traffic in India is overwhelmingly chaotic and signs are generally ignored, so caution should be taken whenever in motorized areas. Sometimes travelers to India (particularly Westerners) garner an almost-celebrity status in local spots. Posing for photos with locals is common and mostly harmless but it is ok to refuse if you don’t feel comfortable. Bargaining, however intimidating and unnatural it might initially seem, is critical when visiting markets or shops in India. Poverty is ever-present and overpowering. Visitors should be prepared for attracting the attention of touts, beggars, overeager taxi drivers and tour guides looking to make a quick buck. India is a diverse country with over 700 hundred dialects and 22 main languages, although Hindi and English are relatively widely spoken. Stray dogs, cows and other wildlife are commonly roaming India’s bustling streets. Refrain from petting any stray looking animals to avoid contracting diseases. 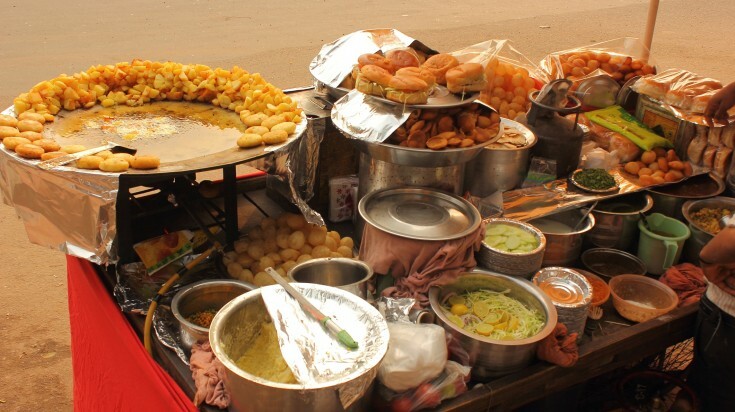 Street food, however appetizing it might look, is best avoided. The same goes for tap water throughout India. Water served in jugs in restaurants is generally boiled and safe to drink, but if you are not certain just get bottled water. 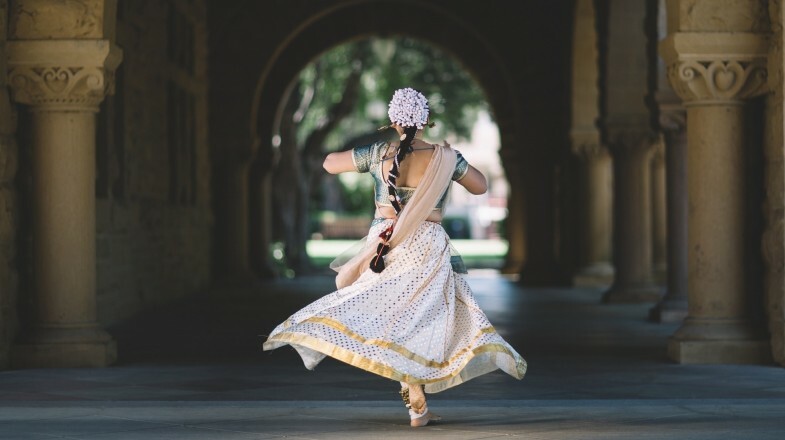 India is a conservative country with ingrained gender stereotypes so dress with respect and refrain from being too trusting and friendly to avoid unwanted attention. Impossible to generalize or distil down to a couple of key sites or statements, India entices and inspires with its multifaceted nature. From breathtaking landscapes and palatial architecture to colourful festivals and traditions, vibrant culture and delicious cuisine, a trip to India will have something for everyone. It will draw you in and irreversibly hook you with its kaleidoscope of sounds, shapes, colours, smells and tastes, revealing just enough each time to make you keep coming back for more.